City Council candidates were questioned about their views on public safety issues at a forum organized by Laguna’s Police and Firefighters Employee Associations, held Sept 14 at Top of the World Elementary School. About 60 people attended to listen to candidates answer questions posed by Laguna Fire Safe Council founder David Horne, a resident of Emerald Bay, whose Laguna Beach home was destroyed in 1993. The nine candidates who attended the forum included Allison Mathews, Toni Iseman, Ann Christoph, Sue Kempf, Sue Marie Connolly, Paul Merritt, Judie Mancuso, Cheryl Kinsman, and Peter Blake. The temperature was less heated than at some forums, but Horne ran a tight ship, telling the candidates to respond to the question and not stray off the point. Horne began by asking the candidates for their definition of public safety, asking if it would include cleaning sidewalks or trash pickup, how they would measure progress in achieving their goal, and if public safety would be their top budget priority. Connolly: She too has concerns about the evacuation of Top of the World. “I think there should maybe be another emergency exit.” She also thinks lighting is important. Kinsman: “I am an accountant, so I start with the basics, the fire and police stations. Are they up to date? Have we done the things we need to do to fit the equipment needed into those stations or do we need to [make changes]?” She suggested modernizing the stations or perhaps relocating them, near the original location but on a larger parcel, especially Station 4 in South Laguna. Merritt: He focused on the question of sidewalks, which he considers a public safety issue. “We need to get sidewalks in where they are not.” He said that previous councils just talked about where the sidewalks should be, which he thinks of when skateboarders, elderly, and visitors trip and fall. As a reserved former deputy sheriff, he said response time was important. Horne politely thanked the candidates before pointing out that [they] answered what they felt like answering, but did not answer the questions. “We put time into these questions, so address the questions, please,” he said. 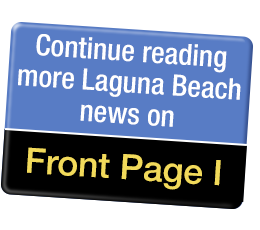 All of the candidates agreed that Laguna’s four stations must be earthquake-proof, and only Station 4 in South Laguna is up to code, courtesy of the county, according to Christoph. The first step would be an evaluation of the condition, equipment and needs of the stations agreed Merritt, Christoph, Mancuso, and Kempf. Christoph and Kempf also agreed with Iseman, Mathews, Kinsman, Connolly, and Mancuso that making the other stations earthquake-proof was imperative. Relocation did not get a unanimous thumbs up. Iseman and Kinsman are particularly worried about Station 4 in South Laguna. Christoph is not. She said it is the only station that has been retrofitted. Mathews and Connolly questioned the wisdom of spending money on the Village Entrance rather than earthquake-proofing and better equipment. Blake expressed shock that the candidates he described as “ill-informed” were being questioned on safety issues, rather than City Staff, City Manager John Pietig or the City Council. He offered no suggestion on what he would do to rectify the problems. Kempf: “I think the question was, ‘What would you do in the first year and what would you do by the third year?’”. First, she said, she would determine what was needed and prioritize. Next, she would look for grants and at [the city] budget and see where money was available to do the retrofits and then figure out what would have to be done to augment the capital [improvement] budget. Kinsman, Blake, Mathews and Connolly said the answer is more patrol officers. Kempf: “I would personally find out where the biggest offenders are and talk to those establishments. If they are violating their conditional use permit we need to cut their hours and we can do that. We can put more patrol officers downtown. Iseman: The issue with more bars and more liquor is that we have enough, and we recklessly approve more. I am very concerned with how we approved more. Merritt: He stated that the city’s main problem is deployment that should be focused on the canyon at the Alternative Sleeping Location and at Thousand Steps [Beach], because of the illegal activity. Mancuso, Kempf, Christoph, Connolly and Mathews said the city should pay for the training.